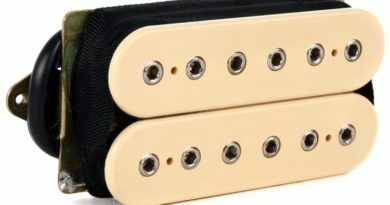 Next in my series of EVH-themed pickups is an excellent offering from Smit’s. I had a chance to speak with Kevin about the EBS-2 Brownsound before placing the order, and I was able to get a really good vibe for what he has going on. The order arrived quickly, well-packed, along with mounting hardware and a sheet of schematics that covered a full range of wiring options. I went with reverse zebra bobbins (considering the theme! ), f-spaced, short-legs, with 4-conductor lead wires. Covers are also available, if desired. It installed like a champ and I was off and running. For this VH series, I’m still using the same guitar and same amp settings. 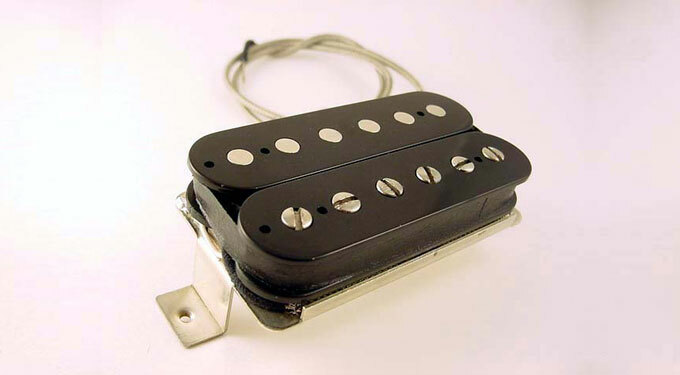 The pickup is direct-mounted and wired to a push-pull pot for series/parallel options. The EBS-2 Brownsound handles itself really well on a clean amp setting, both in series and in parallel wirings. It didn’t want to push to breakup, even when I tried. I found that to be a really nice thing for my “clean amp” playing style. There is a nice open quality to chord voicings. Single notes have a chimey high end and a controlled low end. Isn’t this what people want to hear about when looking at a pickup like this? You betcha! And the EBS-2 delivers when cranked out! 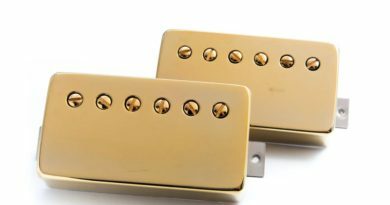 The highs slice through with an abundance of cut (especially for an Alnico 2!) and the mids push you against the wall with a definitive throaty roar. The low end of this pickup is what rounds out the voicing, taking the pickup to a next level. While punchy, it also has that right amount of ‘sag’ that you want to hear from that very late-70s tone….and that’s what sets the EBS-2 apart for me. It’s a nice touch that can be overlooked, but not here. On a dirty setting, the pickup cleans up nicely when rolled back. It is quite touch sensitive and responds very well to different pick attack. Harmonics pop out nicely and it has the push and drive to encourage squeals to rings out a good long time. 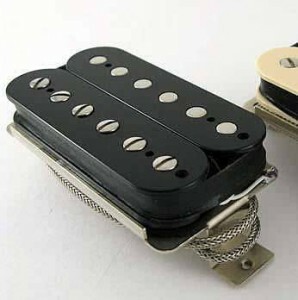 The EBS-2 Brownsound is very nice handwound pickup with a hot-vintage voicing. It has plenty of output to hang comfortably with any 80s rock I threw at it. 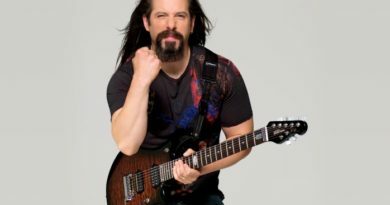 Heavy riffs, aggressive licks, big open chords and excellent note separation. Although shifting gears a little, Kevin is still making pickups by request and can be contacted via the Smit’s Facebook page or the Smit’s Official Website.